Phipps Conservatory and Botanical Gardens has contributed to the beauty and vitality of Pittsburgh for more than a century. In recent years, our ability to enrich the lives of our guests has only continued to grow but preserving this great institution for generations yet to come, and ensuring that our facilities and programs flourish well into the future, is no easy feat without the generosity of our committed supporters. 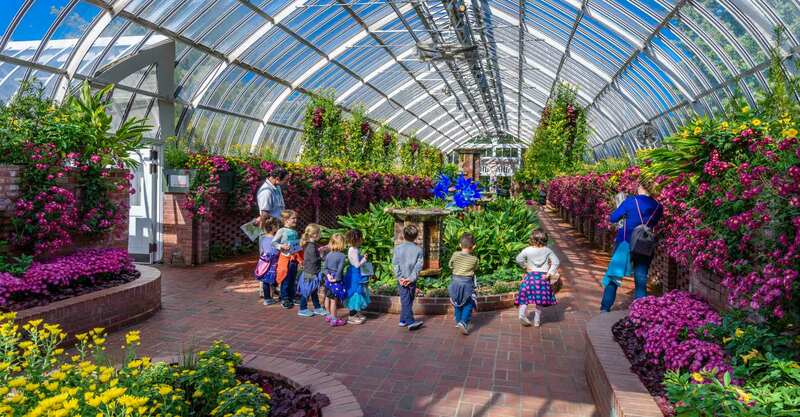 Endowments ensure long-term financial stability and planning success, allowing Phipps to fund initiatives that will have a lasting impact on the region. Many donors choose to honor family members or friends with these critical gifts, creating an unrivaled tribute that will live on through our good work. When you contribute in this way, you not only make a difference now but also help us forge a brighter future for all. To learn more, or discuss your gift with a staff member, please contact our development department at 412/441-4442, ext. 3701. Thank you!